hotukdeals.com/dea…888 £5 off here for people who don't have prime. 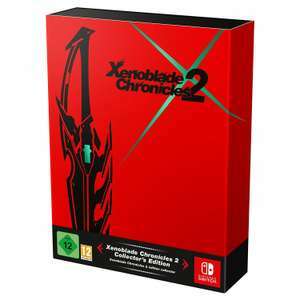 …https://www.hotukdeals.com/deals/xenoblade-chronicles-2-special-edition-nintendo-switch-6499-grainger-games-2817888 £5 off here for people who don't have prime. Cheers, canceled my game order! Amazon's recent handling of pre-orders for release day delivery leaves a lot to be desired (Mario Odyssey, Xbox Scorpio, Doom etc...). Good deal though, just don't expect it to arrive on/before release day! Do any of these editions come with the expansion pass or is that a digital bundle only? Do any of these editions come with the expansion pass or is that a digital …Do any of these editions come with the expansion pass or is that a digital bundle only? Unless something changes, digital bundle only. Cancelled and reordered with Amazon. Now what to spend that £10 on? Thanks OP. I did have the standard version preordered as I'm not massively blown away by the additional content but what can I say, I couldn't resist! Good spot man, saving over £10 on a few different things this time of year really helps out. Thanks. Cancelled my game order and saved money. £10 cheaper than on the Nintendo UK Store :-( going to cancel and purchase …£10 cheaper than on the Nintendo UK Store :-( going to cancel and purchase through Amazon. Many thanksCancelled and reordered with Amazon. Now what to spend that £10 on? 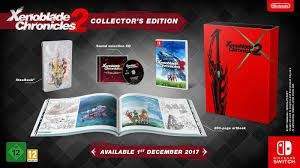 I have this pre ordered from Amazon already, bought a £30 gift card to get the £6 account t discount when I did it, it's also £64.99 from grainger games if that's of any use to anybody. first online credit order of £60 or more! Apply for a Very Account by 31/12/17 and enter the code below at the checkout"
Cheers. How do these credit orders work? How soon can you pay it all off to avoid interest? Cheers. How do these credit orders work? How soon can you pay it all off …Cheers. How do these credit orders work? How soon can you pay it all off to avoid interest? "Take 3 is automatically applied to your purchases, so it's always available. Excludes purchases on BNPL. Pay the Take 3 amount on your monthly statement to pay this way. Just so you know, you'll pay no interest on the applicable items if you continue making your three Take 3 payments on time each month. interest will be charged at your account rate." This is back up at 79.99 quid now.